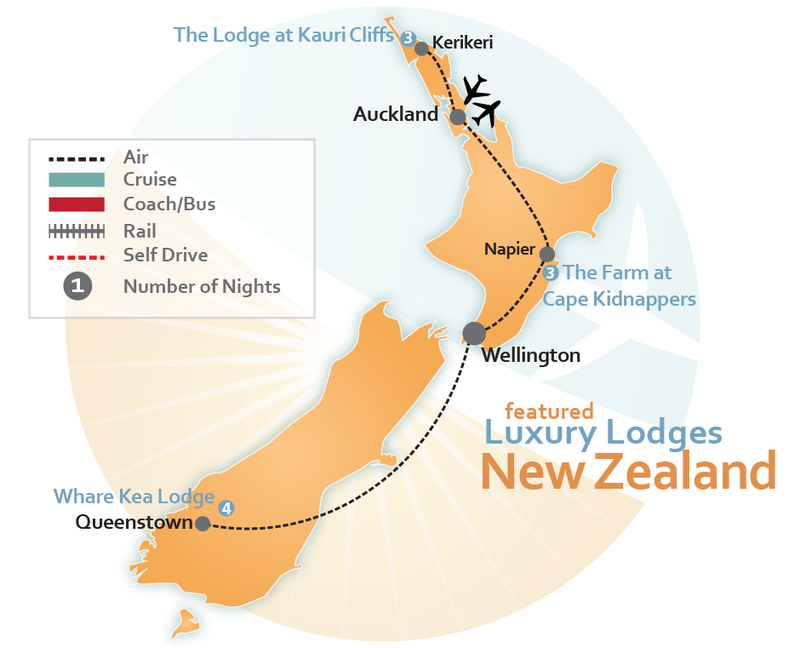 The lodge at Kauri Cliffs is located in the Bay of Islands, in the north island of New Zealand. This luxury lodge is one of the most awarded luxury boutique golf & spa resort hotels in new zealand and is set on 6,500 acres near matauri bay, northland. 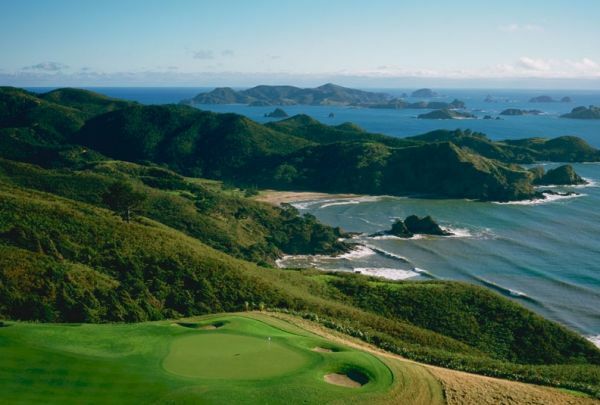 The lodge at kauri cliffs affords spectacular 180-degree views of the pacific ocean and is home to a par 72 pga championship golf course designed and built by david harman. Kauri cliffs is also a member of relais & ch?teaux, an exclusive collection of the finest hotels and gourmet restaurants in the world. 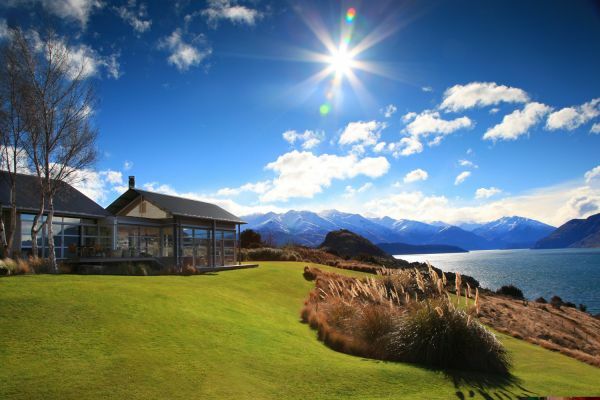 Set on the shores of Lake Wanaka is Whare Kea, a secret hideaway offering guests a haven to share the area’s beauty plus perfect access to almost every adventure sport and outdoor pursuit possible. The Lodge, specifically designed to suit the environment, is tailored to work for all seasons providing a luxurious yet intimate and less formal ambience. Upon arrival into Napier meet with your driver who will transfer you to the Farm at Cape Kidnappers, Hawkes Bay. The farm encompasses boutique lodge accommodation, an award-winning Par 71 golf course and indulgent spa treatment facilities. 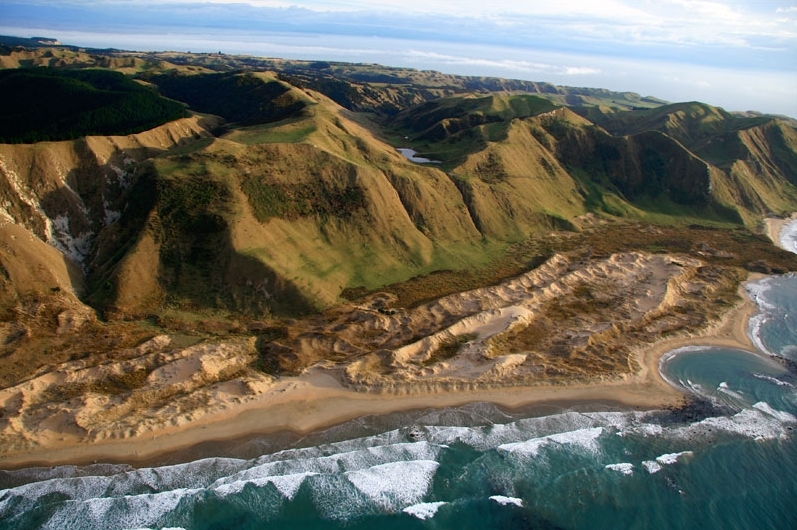 With 180-degree panoramic views of the Pacific Ocean and a multitude of activities and adventures to be had, Cape Kidnappers is the perfect escape. In addition to a challenging game of Golf, you will also discover brilliant leisure pastimes on The Farm, including farm tours, walking trails, the gannet colony, quad biking, mountain biking and trout fishing, just to name a few. 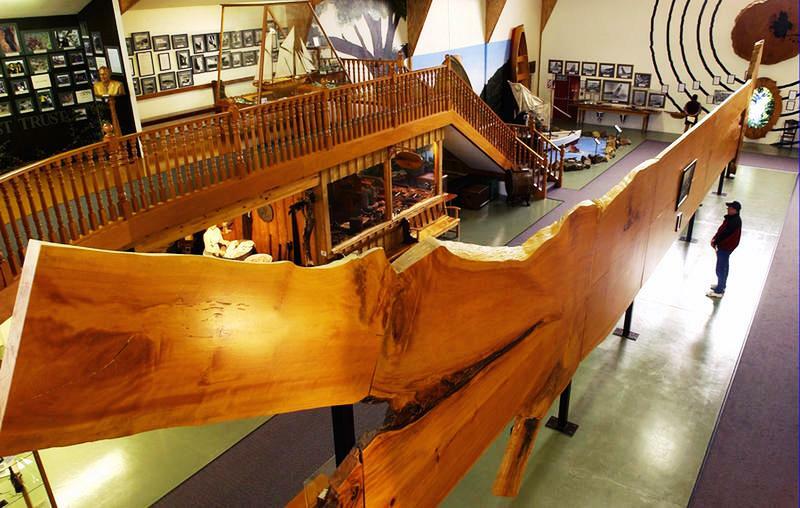 All activities can be booked at reception during your stay. Or if you just want to unwind, relax in 5-star luxury on your private balcony, as you absorb the magnificent 180-degree sweeping views of the farm, golf course and the shimmering Pacific Ocean. Come and enjoy this legendary golf course at Cape Kidnappers. Designed by golf architect Tom Doak, the Cape Kidnappers par 71 golf course measures 7,119 yards (6,510 meters) and will challenge golfers of all skill levels. 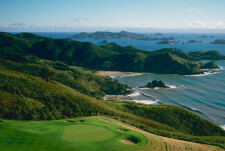 Completed in 2004, this spectacular New Zealand golf course has been hailed as one of the great modern marvels in golf. 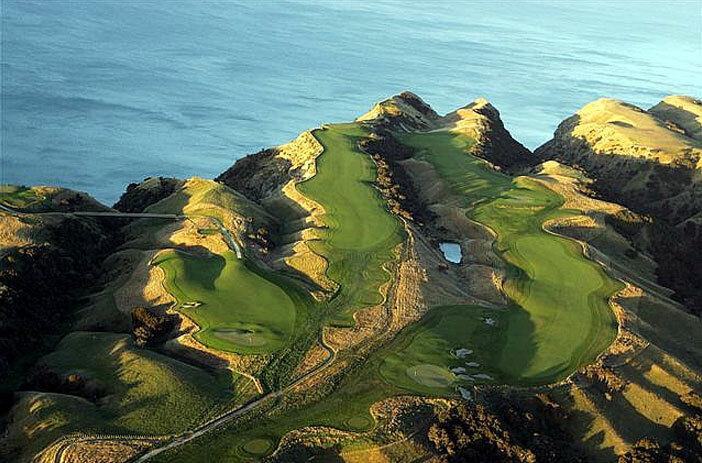 Cape Kidnappers golf course is currently ranked the 41st best golf course in the world by Golf Magazine. There is also a well equipped Pro Shop located at the Clubhouse, with an attractive selection of golf and casual wear available. You’ll also find Callaway ladies’ and men’s clubs available for rent. The womens’ and mens’ locker rooms are fully appointed with lockers and showers, and are located next to the Pro Shop. Should you wish to have a small packed lunch between the nines, an order can be placed with the Pro Shop before teeing off. Additionally, a full lunch menu is available in the Clubhouse dining room. You don’t have to be a resident of the resort to play a round of golf! Be sure to pre-book your tee time and we can’t wait to see you on the green! Transfer from Cape Kidnappers, Hawkes Bay to Napier, New Zealand Airport. 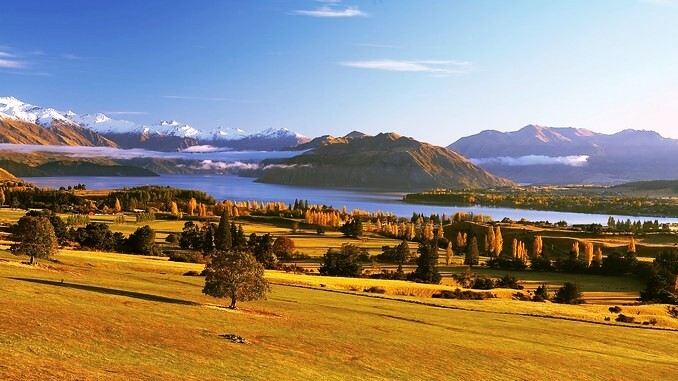 Travel within New Zealand by domestic air from Napier to Queenstown. Land Content Only	 $9,642	 $13,178	 International return flights from the USA are not included. Please see detailed itinerary (above) for more information on inclusions. Itinerary can commence any day (subject to availability). Premium (Economy Class)	 $14,710	 $18,245	 Premium Economy Class International Return Flights from the USA (Los Angeles) are included. Change and Cancellation Fees Apply. Subject to Availability. Business Class	 $16,423	 $19,959	 Business Class International Return Flights from the USA (Los Angeles) are included. Subject to Availability. First Class	 $36,187	 $39,722	 First Class International Return Flights from the USA (Los Angeles) are included. Subject to Availability.